NEW SUMMER TOUR DATES ANNOUNCED! 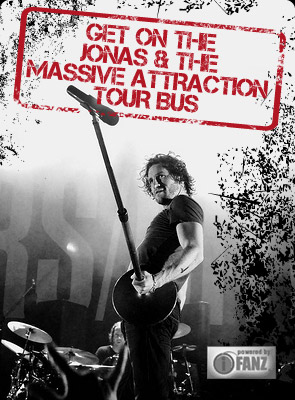 Get ready to rock out this summer with Jonas & The Massive Attraction as they roll into the festival season with the LIVE OUT LOUD TOUR 2014! Highlights of the tour include a July 11th stop in Valleyfield, QC at Les Régates De Valleyfield and the band’s debut performance in the U.S. for a highly anticipated show in Omaha, NE at the Playing With Fire Festival. For a full list of shows and details, check out 2014 TOUR SCHEDULE.